Rotary Clubs in Burbank both Noon and Sunrise sponsor several Mini Libraries to be placed throughout our community to raise awareness of Rotary and the importance of reading. 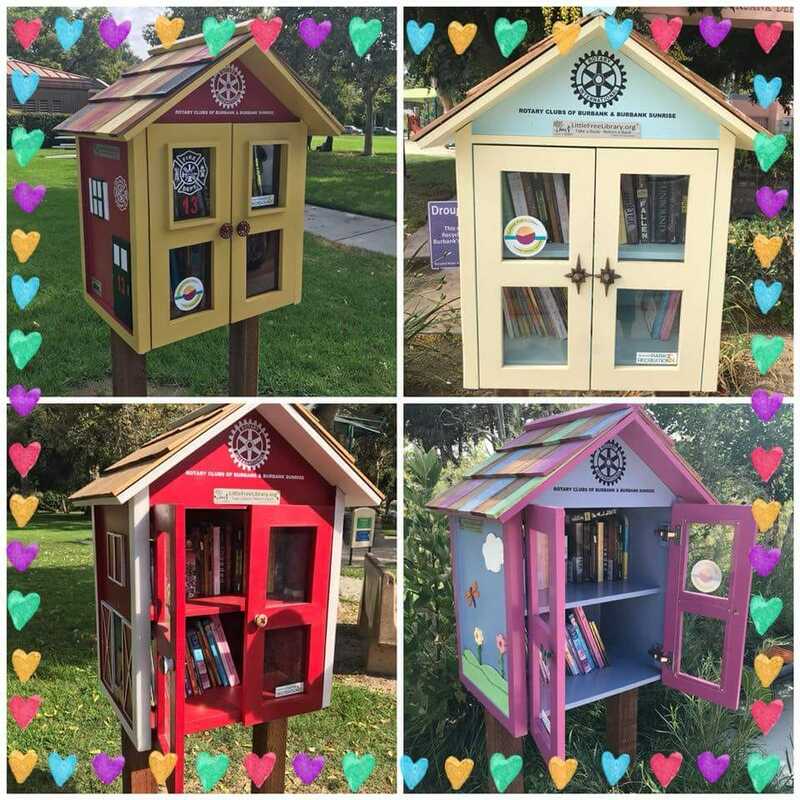 In partnership with the Sunrise Rotary Club, City of Burbank Parks & our Rotary Club of Burbank we were able to sponsor several Mini Libraries that have been placed in local parks throughout the City of Burbank. This project will raise awareness of the importance of reading and make books available to the entire community. The premise is to take a book to read and leave a book behind for future visitors. Both clubs raised private funds and benefited from a District Grant to sponsor these important additions to our community.